It isn't easy being the oldest boy in a house run by women - especially for Jerin Whistler. The grand-matriarchs of his clan are descended from soldiers, spies, and thieves. That's partly what's kept their family alive in the wilderness. But it also means Jerin's doomed to marry the girls next door - a fate he's convinced is worse than death. 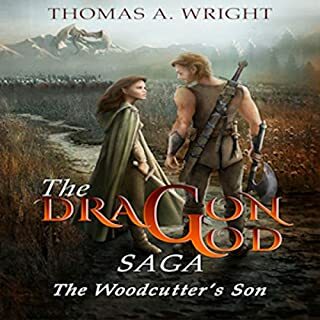 But Jerin gets in even worse trouble when, in the process of a daring rescue, he falls in love with a royal princess who's as high above his station as it's possible to be. 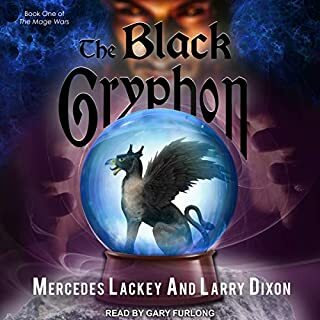 Nationally best-selling fantasy author Mercedes Lackey creates a vivid, dynamic fusion of the cultures of ancient Egypt and legendary Atlantis with the most exciting and believable portrayal of dragons ever imagined. 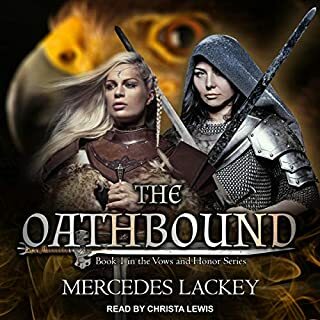 I left a message on the author's Facebook page recently regarding this series and am so happy that it's made it's way onto Audible. Actually, I have seen many of her Valdemar-related books from the 1980's & 1990's recently as well. It's fantastic to see more of the books I read when I was a teenager... especially now as I'm having eyesight issues and audiobooks are much easier on the eyes. Thanks again to Audible, Misty and all of the narrators for adding these. 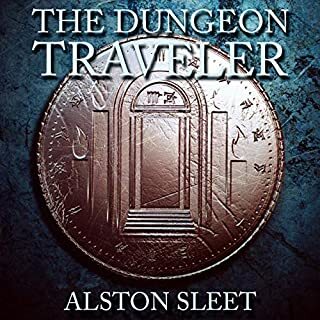 I have been waiting for Audible to have this series for as long as I have been a member. It has always been a favorite of mine every since I was a young teen, and I return to it ever so often to re-read because it's so unique in the world of fantasy. I hope the other two titles become available soon. But when I saw it was new on Audible, I decided to give it another try. 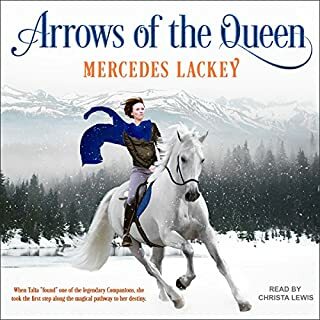 Afterall it is a Mercedes Lackey book. Really glad I did because the excellent narration brought this book alive and made it a rare and wonderful treat. Very happy I tried it again and look forward to the rest of the series to come on Audible! Can't wait! Great book from my early adulthood! I loved this series when it was first published. The narrator is good and easy to listen to. However, the book takes place in a sort of alternate Egypt or Canaan, so his use of various British accents is disconcerting as is his 'very' Americanized pronunciations of things. Avatre the dragon, for example should be pronounced with emphasis on the second syllable, not the first. Skimping on such details can create dissonance for the listener when he or she is hearing a new rendition of an old and treasured friend. Other than that, I will be purchasing the next installment. I read this book as a teenager years ago and now I get to enjoy it again with my children. This has always been one of my favorite books. I was 11 years old and standing in a goodwill when I first picked this book up. 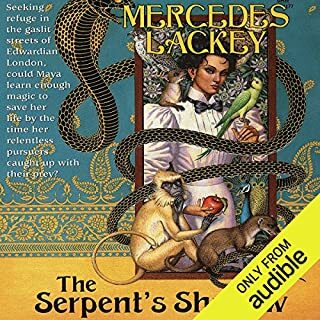 I immediately fell in love with Mercedes Lackey. I had no idea that this ten cent book would change the way I viewed writing and storytelling in general. so thank you to the person who gave it up to the goodwill 12 years ago. my spouse is Dyslexic. reading is very hard for them. when we were 15 I read this book out loud to my spouse who absolutly adored it and spent months struggling through the rest of the series when I got to sick to read out loud. to be able to have this Audiobook for them is absolutly fantastic. thank you so much for allowing us an easier way to enjoy this world together. I have already preordered the next one! Make book requests. Audible listens. I was as ecstatic as a 90's school girl meeting backstreet boys in person when I found out audible listened to my request for this series. Huge fan and the performance keeps me as entertained as if reading it myself. Can't wait for Alta, Sanctuary, and Aerie to be released too. Highly recommend. 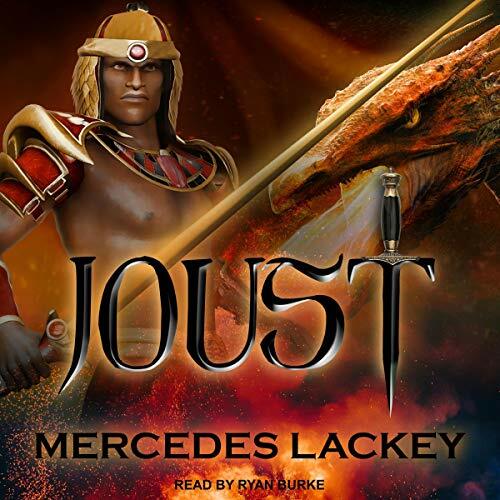 Joust starts a little slow but once Vetch gets to the dragon compound it picks up and the next book picks up even sooner. One of my all time favorite books. Well read. Suitable for families. Will listen to this repeatedly. Very well done. I first read this more than a decade ago, and I’ve loved the story for years. This narration was a real treat, though, and compliments the story well. I hope they add the rest in the series to audible as well soon. I like most of hers but this one is boring. Not enough action and I could not be bothered to finish it.